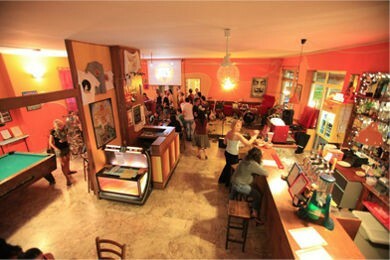 Sunflower Backpacker Hostels & Bar the Best PARTY Youth Hostels in Rimini Beach Riviera. Its funky decor and lively atmosphere make it the perfect place for the young and 'the young at heart'... 200 Meters from The Fantastic Sandy Beach. Fantastic Bars with Happy Hour and Pub Crawls. Sunflower Beach Backpacker Hostel & Bar and Sunflower City Backpacker Hostel & Bar the Best PARTY Youth Hostels in Rimini & San Marino. Italy Suggested By LONELY PLANET, LETS'GO and ROUGH GUIDE. 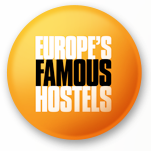 Proud Member of EUROPE FAMOUS HOSTELS Sleep with someone famous, Sleep with us... BOOK A BED FROM €12 Including Breakfast, Bed Linen, WiFi , Use of Kitchen, Lockers, Party, Key Card security, Safety Box and Luggage Room, International Plugs and USB in every rooms, Booze Cruise. * @ Sunflower Beach Hostel & Bar All rooms are fully AIR CONDITIONED !! 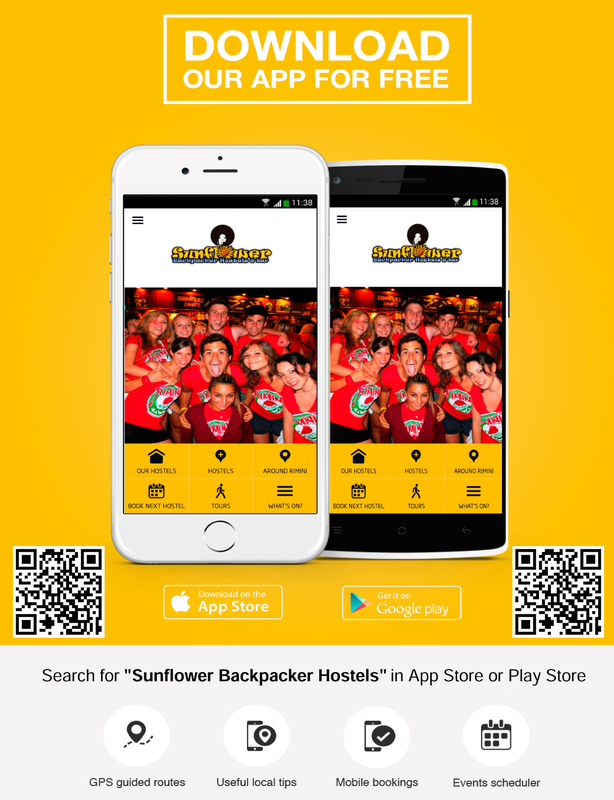 Sunflower hostels Sunflower Hostels offer you a Free App for a Craziest Rimini. Download now for free Sunflower Hostels Rimini APP Work also off Line. Don't get Lost !! A medieval fortress which in 18th century was the papal top security prison. The home town of 9 time world motor bike champion – Valentino Rossi. G.P. di San Marino e della Riviera di Rimini. 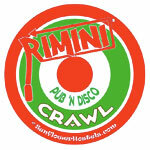 We are proud to present 3 nights a week, our own Famous Pub and Disco Crawl. Each pub crawl includes a T-shirt, 3 shots and a drink at the club.